If you think you can’t tackle the hills of the beautiful area of your choice, or in case you just want to enjoy the scenery without (too much) sweating, a good E-Bike might be the right solution for you! 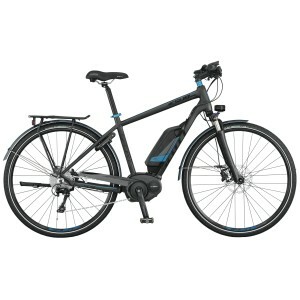 On an increasing number of our self-guided tours (and as well for some small group cycling adventures) Genius Loci Travel now offers fantastic E-bikes. These bikes will helping you to get you up and over some steeper hills (or help you to keep up with faster friends!) and allow you to cover longer distances without arriving exhausted at your final destination. This means that the pleasure of touring beautiful, but steep, areas, such as the stunning Amalfi Coast, are now within reach for people of varying fitness and experience levels. If you don’t book a tour to the place where you really want to go biking because you think it’s too difficult for you, an E-bike can help you make this kind of active vacation a reality! Go for it! As we don’t want our clients to be ‘stuck’ somewhere with an empty battery, we have carefully selected – and tested – the routes of our E-bike tours, to make sure that with a ‘normal’ usage the battery life will last at least until the arrival in your hotel. Cycling through a mountainous area of course needs more assistance, and ‘drains’ the battery a lot, while in flat areas you can cycle (almost) without a battery). But be sure that for any of our selected routes, with our high-end E-bikes, equipped with Bosch battery packs, you can easily reach your accommodation every night! One of our bestselling tours – with a number of steeper hills – is our classic ‘Amalfi Coast Cycling‘, tour. This tour becomes a leisurely ride with an E-bike. Moreover, with an E-bike you can easily make a number of great detours, and take in awesome hidden panoramas, visit wonderful Ravello, the backroads of Vietri, or discover the secret vineyards of Tramonti. Also a shorter, 3-nights/4-day special centre-based special Amalfi Coast E-Bike tour is available. 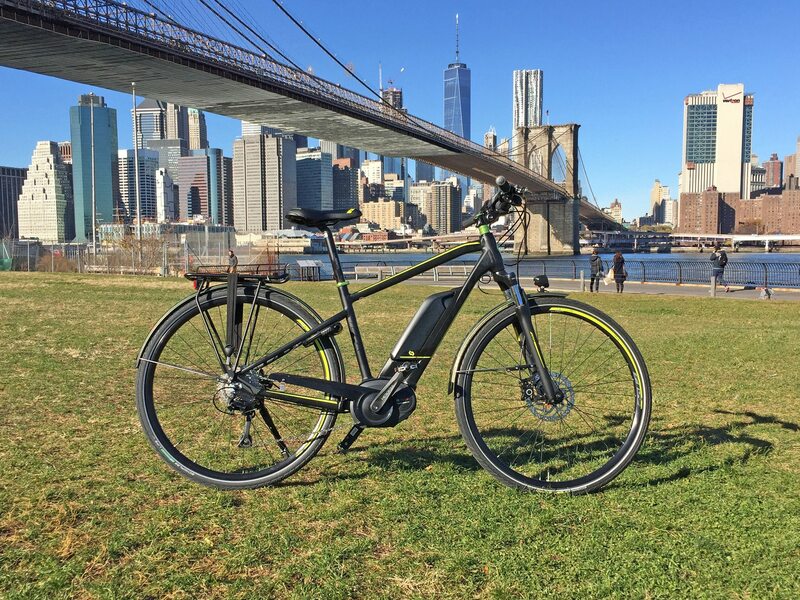 This tour is especially designed for the rides with an E-Bike. A longer version of this special E-Bike tour includes also the Sorrento Peninsula – cycling towards the very tip, face-to-face with Capri. Another stunning area is the Cilento National Park, where we can offer several short, 3- or 4-day trips, especially designed for the E-Bike. As well do we offer some more challenging rides, like the tour from ‘Paestum into the Cilento National Park‘, a beautiful ride to explore the stunning natural and cultural treasures of southern Campania, which will take you through a largely unknown part of southern Italy, with astunning coastline and awesome mountain scenery. And last but not least: ask about our short trips in ISCHIA, the green island! For small groups we offer the unique challenge of cycling right across Italy – between two famous cycling destinations, Puglia and the Amalfi Coast. From beautiful Puglia you’ll cycle through the relatively unknown Basilicata and the unspoilt Cilento National Park, ending on the popular Amalfi Coast. 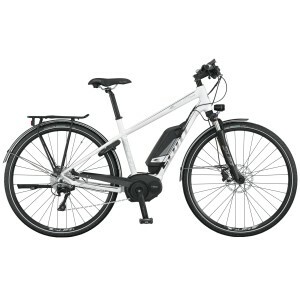 An E-bike (sometimes called pedelec) is a bicycle which gives you ‘assistance’ while you pedal. They look like a conventional bike, but with the addition of a small electric motor and a battery pack. The bikes can be ‘normal’ city bikes, hybrid bikes (perfect for most of our tours), but also mountain bikes (and recently even some electric road bikes have been produced). Our bikes support you while pedaling, at adjustable assistance levels. So yes, you do have to cycle yourself (! ), so you do get your exercise, as these bikes don’t give you assistance in case you don’t pedal (they are not electric scooters or motorcycles). Our E-bikes will only ‘push’ you up to a speed of 25 km./h. (legal requirement), the ideal speed to soak in the countryside. And pedaling up a hill like you are in the plain is a unique experience!